This work treats of the principles which govern the Inheritance of the deceased’s property among the Muslims of the Sunni Hanafi Sec. 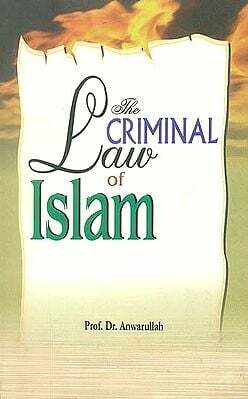 It contains the text and the translation of the renowned work on Muslim Law named the ‘Sirajiyyah’ with a commentary y the learned author, Al-Haj Mahomed Ullah. This translation and commentary is definitely far better than those by Sir William Jones, almaric Rumsey or by S.C. Sircar. The Qur’anic verses and the traditions of the Holy Prophet (may peace be upon him) relating to the subject, are also include. 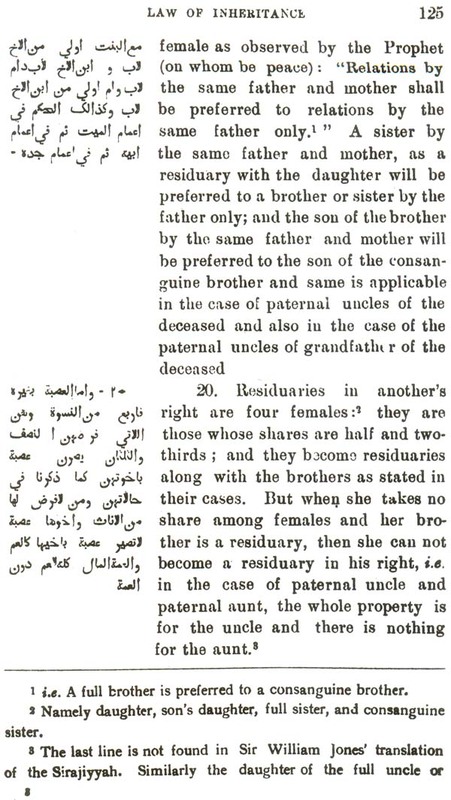 It is an exhaustive work on the law of Inheritance and unique in exposition of law and the manner of its treatment. It is a useful guide for the research scholars, the lawyers and the courts. These few pages contain the principles of the Muslim Law of Inheritance. It comprises mainly the Sunni Hanafi Law and is based on the original Arabic authorities. The book contains the text and translation of the Sirajiyyah which was first translated, in 1792, by Sir William Jones and subsequently annoted by Rumsey, and also by S.C. Sircar; but for some reason I prefer to use my own translation with a commentary and I leave it to my readers to judge it on its own merits. The Quranic verses and the traditions of the Holy Prophet relating to eh Law of Inheritance are also included. I am greatly indebted to Dr. Zubaid Ahmad and also to Dr. Mahmud Ullah in assisting me in preparation of this work. I trust the work will meet with the approval of all those interested in the Muslim Law. Idara Isha' At-E-Diniyat (P) Ltd.